Help WDVX while you shop! 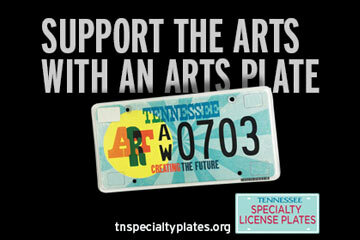 There are many different ways to support WDVX. Some of our partners allow you to support us with purchases you make at their stores and online. It might seem like a small percentage, but every contribution adds up to help us fulfill our mission and goals. 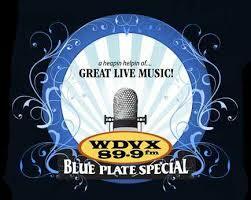 While you are Christmas shopping, you can be supporting WDVX! 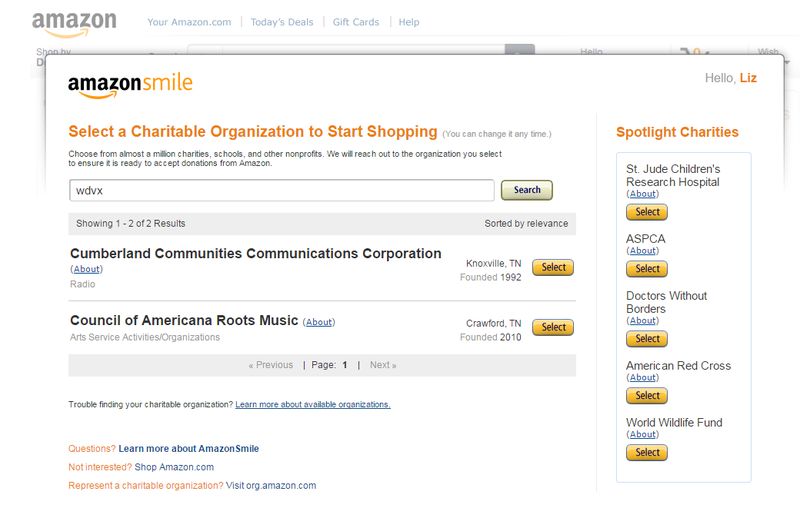 Amazon Smile is a website operated by Amazon. 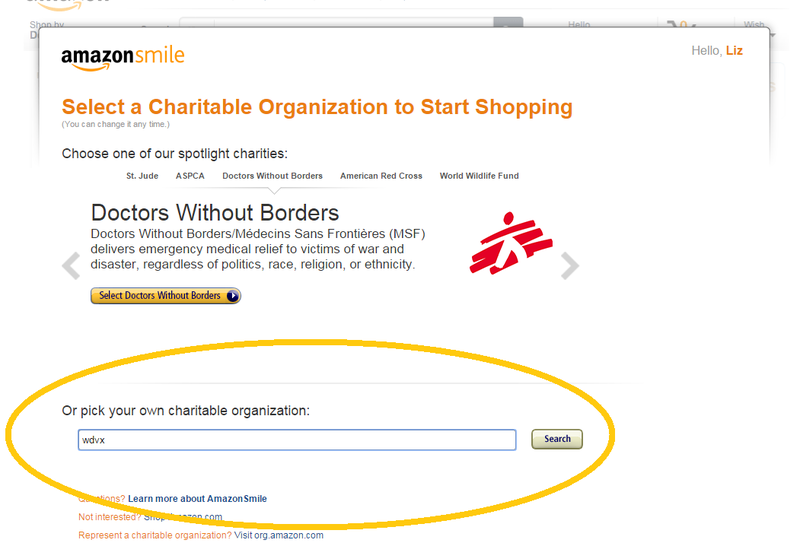 The site operates the same way that Amazon does, but has a Foundation which will donate 0.5% of the purchase price from your eligible purchases. This may seem like a small amount, but it adds up in the end. If you are planning to purchase something online already, then we encourage you to make the switch to Amazon Smile. Follow the 5 simple steps below. You will need to either create an account or log in to your existing account. Search for WDVX using the “pick your own organization” bar. 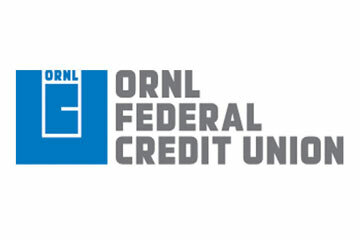 Select Cumberland Communities Communications Corporation from the list. In the upper left hand corner you’ll see that you’re supporting Cumberland Communities Communications Corporation. 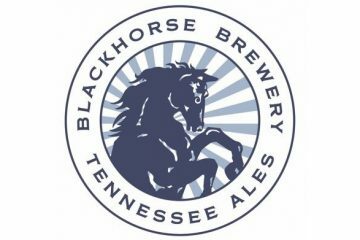 A percentage of your purchase will be donated to WDVX! We’ve currently got 152 households registered with the Kroger Community Rewards Program. Thanks to these 152 households Kroger has contributed $1,355.02 in the past three months! 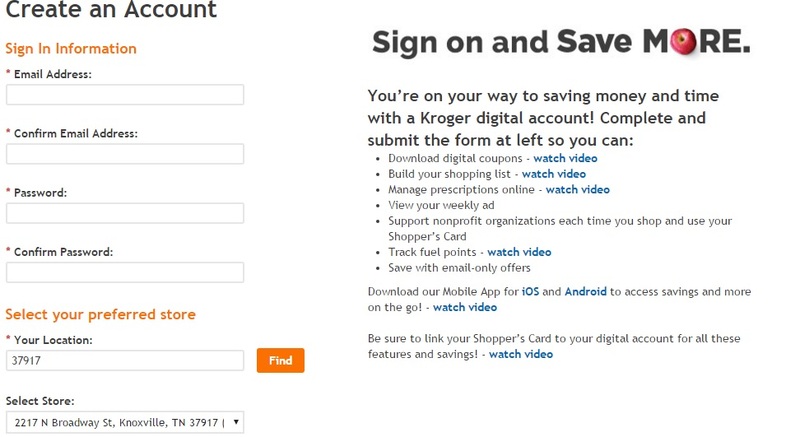 If you don’t have an existing Kroger Rewards Card you can sign up online in less than 5 minutes! 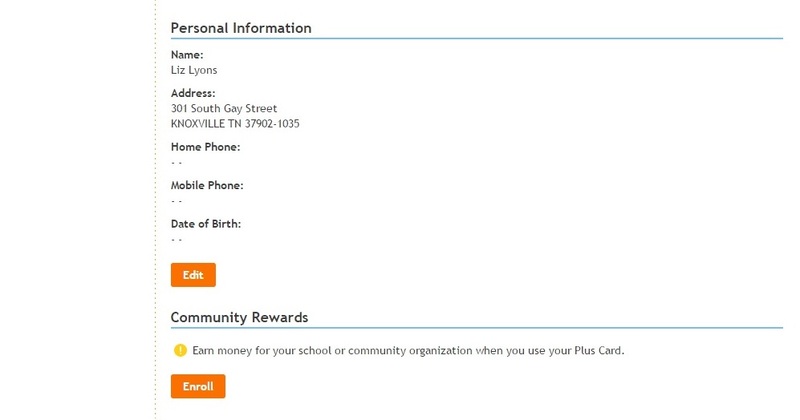 Fill out the information on the screen & you will get an email confirmation that your account has been created. Head back over to the Kroger Rewards website now. If you have an existing online account or if you just created one please sign in. 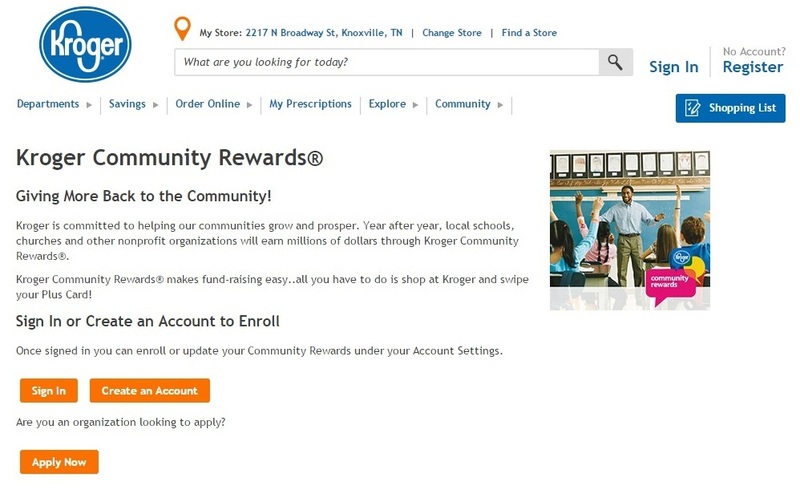 Now you’re ready to enroll in the Kroger Community Rewards Program. Click on the “Enroll Now” button. 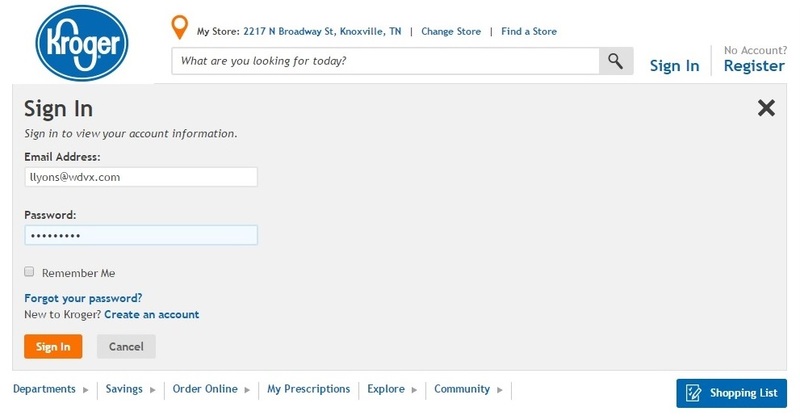 Make sure that your Kroger information is up to date & then click on the “enroll” button at the bottom of the page. Type WDVX into the search area. Select WDVX from list and click on “enroll”. 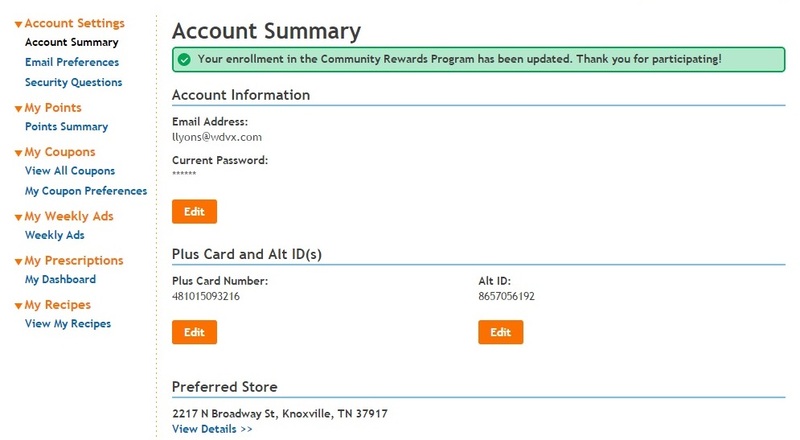 Once you’ve enrolled in the Kroger Community Rewards program you will see a green bar at the top of the page confirming that you’re in. Congrats & thank you for supporting WDVX!! REMEMBER, purchases will not count for your group until after you register your card(s). 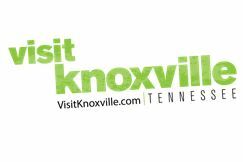 You must live within Knox County or the surrounding areas in order to support WDVX with your rewards card. Contributing to WDVX via this program will not affect your gas points. Published on December 14, 2016 by WDVX Social Media.